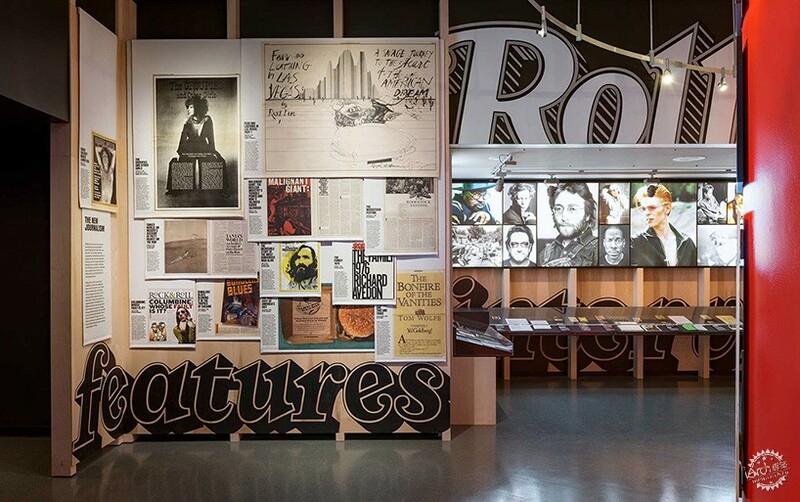 pentagram designs an exhibition for rolling stone magazine, one of the world’s leading pop culture publications, to celebrate its 50th anniversary. 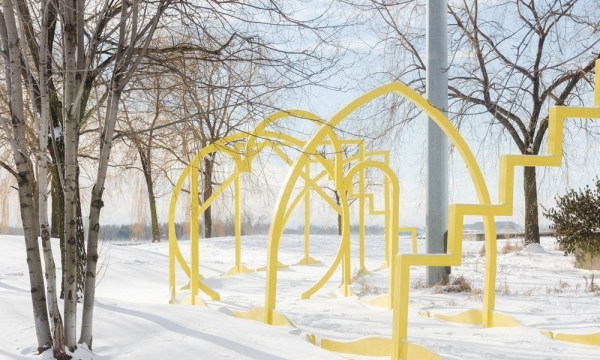 the extensive 3-floor exhibition is on view at I.M. 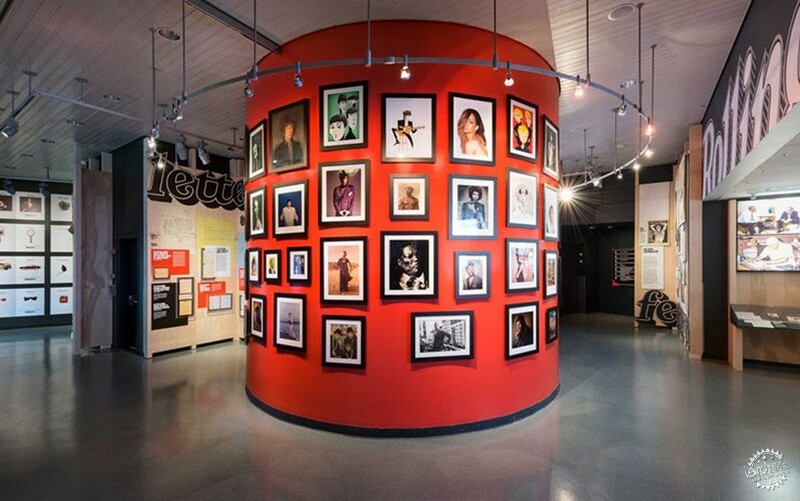 pei’s rock and roll hall of fame in cleveland, OH. 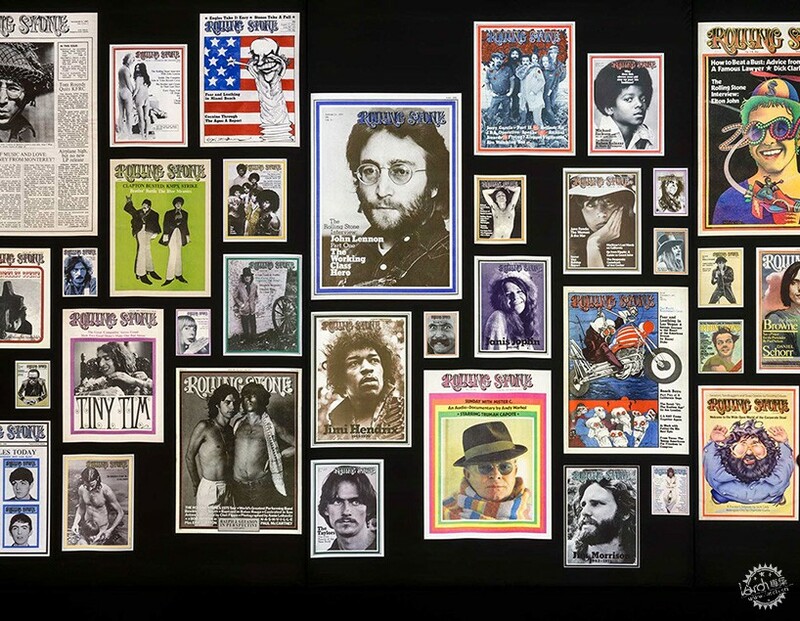 the designers, along with rolling stone co-founder jann wenner, created a clear progression through the space — inspired by the layout of the original magazine. 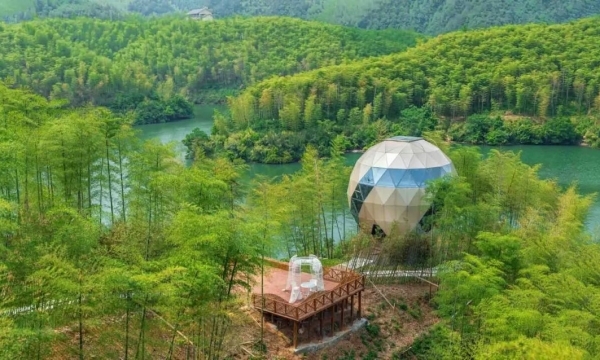 pentagram’s exhibition begins with a freestanding pavilion in the museum’s fourth floor atrium. 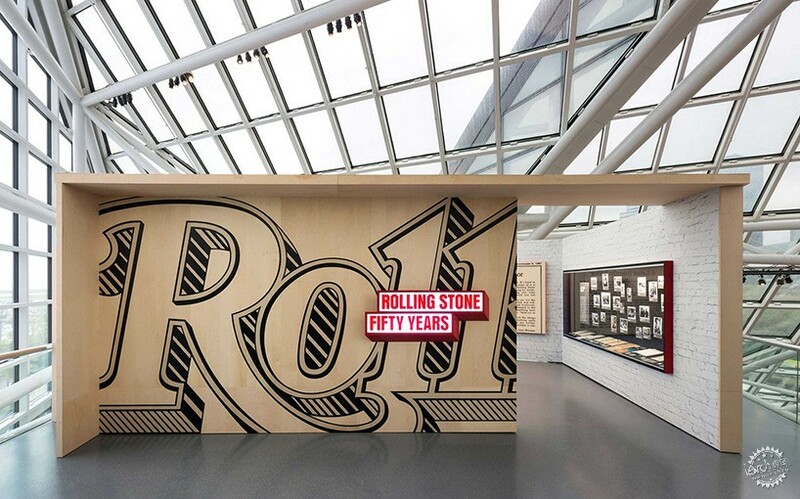 decorated with the magazine’s iconic logo, the small pavilion contains a reconstruction of rolling stone’s first office in san francisco — emphasizing the publications humble beginnings and future growth to success. 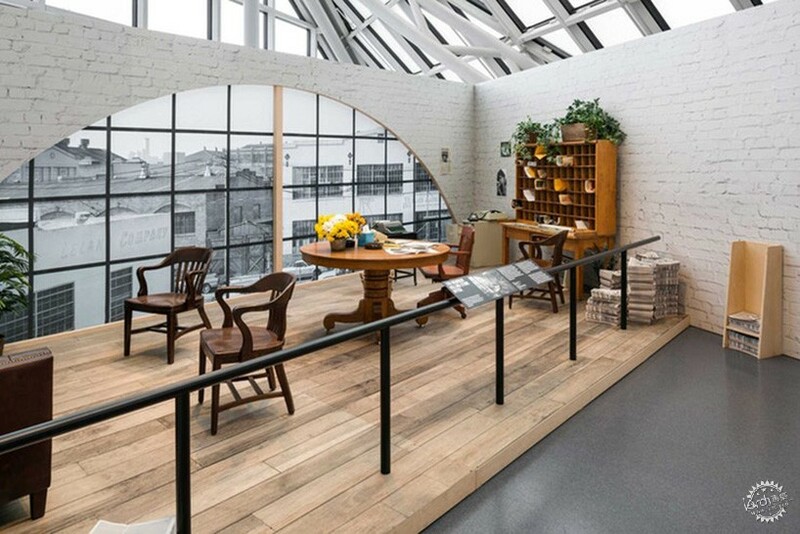 the installation includes wenner’s original desk and mail sorter. 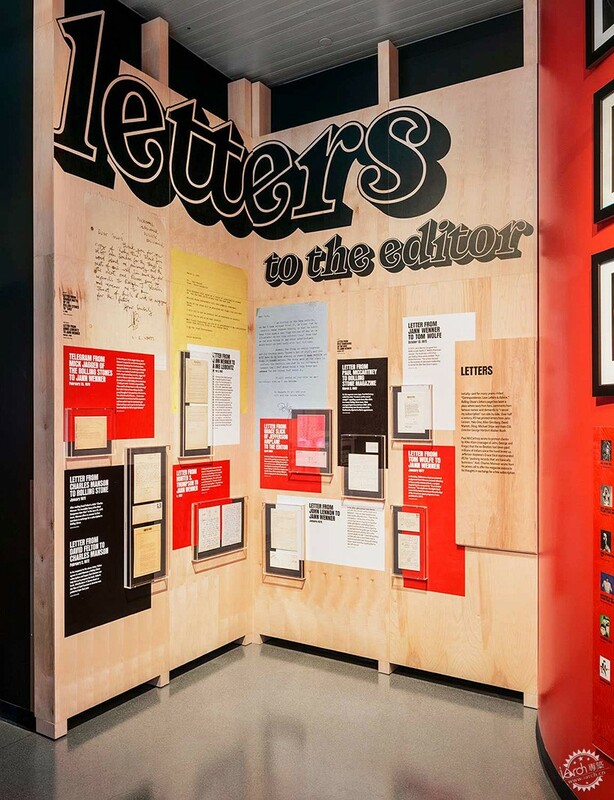 portions of the the magazine’s first issue and wenner’s first letter from the editor introduce the visitors to what is to come, while also supplying them with a necessary foundation of information and historical context. 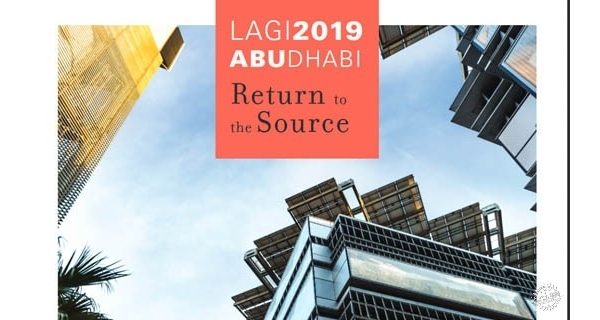 gradually, the magazine unfolds in front of the visitor’s eyes — the publications’s sections are displayed one by one: short cuts, letters from the editor, reviews, and interviews. it is at this moment when the visitor is ushered up into the space’s narrow red, spiral staircase, adding an air of mystery to the experience. entering the thirty-foot open space at the pinnacle of I.M. 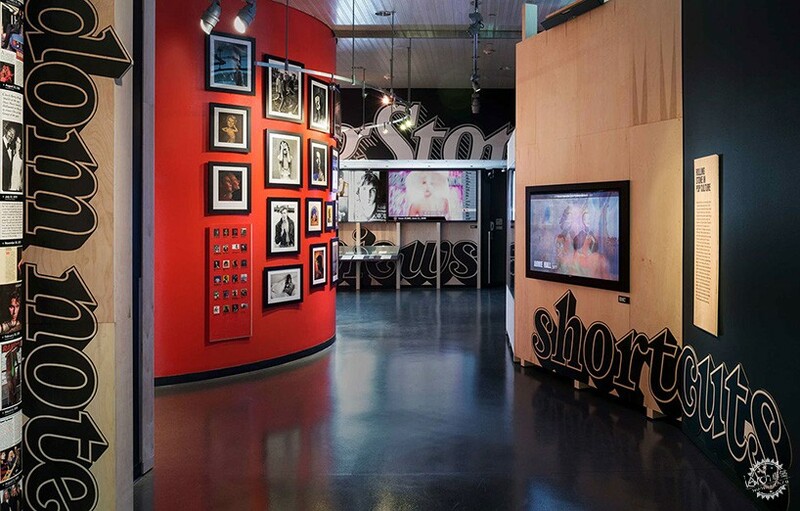 pei’s pyramid, the walls are covered in enlarged images of rolling stone’s most iconic covers — depicting the magazine’s expansive history and diversity in subject matter. 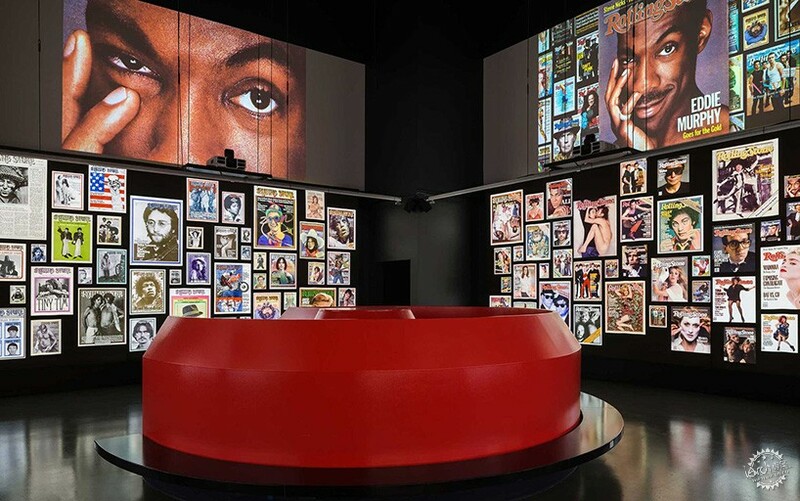 at the same time, video interviews with rock and pop icons from throughout the ages play on projectors above, adding an audio feature to the immersive and breathtaking experience.